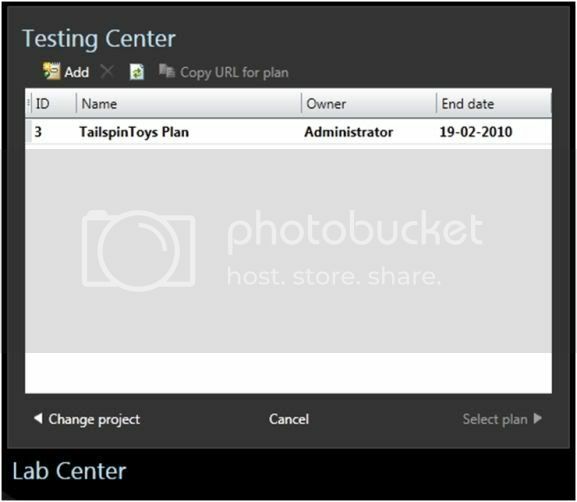 Microsoft offered the testing tools built in Visual Studio Team System since 2005. Although these tools were probably not as rich and mature as some of the competitors in the field, they provided quite high ROI wherever they could be used. There were some gaps like non-availability of comprehensive test management tools, test case not being recognized as workitem etc. Microsoft has done lot of homework before making a new offering with Visual Studio 2010. Name of the new product offered is ‘Visual Studio Test Professional 2010’. It is designed keeping in mind the needs of the organizations as well as the individual testers. - Goal of the organization that is doing software development is to achieve the optimum quality of the product as desired by the customer and at the same time maintain high productivity in testing. - Testers and other testing professional in the team are integral part of the team that is developing software. Activities that the testing professionals perform are invaluable for the team to maintain high quality of the product. It is necessary for these professionals to do the testing most efficiently and thoroughly. It is also necessary for them to provide necessary and sufficient data with the bugs that they file so that the bug fixing can also be done with minimum efforts. For these goals to be met, the organizational and testers needs have to be successfully satisfied by the environment which facilitates testing. Visual Studio Test Professional 2010 creates an environment for various roles within the scope of testing and bug fixing. 1. For test manager or test leads it provides the tools to define the scope and direction of the testing. They can define the test cases to be executed, configuration of the supporting environment and the settings of the testing tools. All of these are to simulate the testing environment as close to the reality as possible. 2. Test planners can do planning of the tests depending upon the needs of requirements, features and their prioritization. They can create groups of the tests and assign owners to them. They can also assign the resources to execute (run) the tests. 3. Testers are facilitated by a dedicated environment to run the tests that are assigned to them by test planners and if necessary file a bug that is rich in information easily. Visual Studio Test Professional 2010 is a new set of tools and user interface that is a separate application. It is called ‘Microsoft Test Manager’ - MTM. It is a WPF based application for all testing professionals. It is a an observation that Testing professionals get overwhelmed and intimidated due to abundance of menu items that have no relevance to them. MTM provides a user friendly interface for testing professionals. 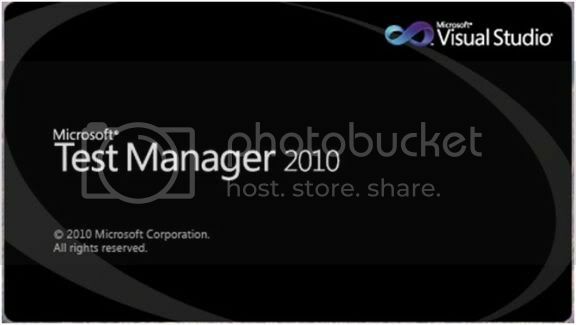 Microsoft Test Manager 2010 (MTM) has to work in tandem with Team Foundation Server. It works closely with the artifacts like test cases, test plan and environments that are stored on TFS. MTM opens by asking us to connect to a test plan which is a part of the team project in which we are working. Once connected, MTM is divided in two sections. - Set the various settings of the testing. The second section is 'Lab Center'. Lab center facilitates the management of virtual environments. These virtual environments are created and used by the team members for collaborative efforts. Environments are built using virtual machines which in simulate the scenarios which are very near to reality and allow the tests to be executed, recorded and later on re-simulated for the benefit of the developers in case of any bug. 1. Organize: Tools and utilities in this section allow us to create various artifacts related to testing. These artifacts are test plan, test cases, shared steps and test configuration. Once these artifacts are created, we can use them to plan the testing efforts. a. Properties like state, owner of the test plan, schedule of activation, classification (iteration and area to which it belongs) and the test settings that are to be applied. b. Contents, which are comprised of groups of test cases that are called as Test Suites. Grouping in the test suite is done with certain logic. For example, all the test cases those are children of a requirement or which are in a particular Area Path etc. 3. Test: This section provides the list of test cases in various test suites and then opens another rich interface for execution of tests. After the test is executed it also provides the results of the various test runs. A subsection of it provides a way to verify that the related bug is fixed. When you select to verify then it runs the test again. 4. Track: Is a section to execute various queries to know the status of the testing efforts. It also is used to view the recommended tests after a build containing bug fix is executed successfully. After the build is executed the Assign Build activity can be used to change the build assignment to the test plan. In this article we have taken an overview of many the features available for Visual Studio Test Professional 2010. In the next series of articles we will go into the details of each feature. The article is good provides useful information & helpful as we got to know about tips for Visual Studio Test Professional 2010.I like the article very much as it is very informative and in future hope to see more of such articles. After long time, I enjoyed article for vsts. Do you know when final date annoucement for vsts and license cost? I am glad that you like the article. Expect more on VS Test Professional 2010 in coming weeks. VS 2010 is slated to be released by mid April. License cost will drastically vary based upon version you are going to buy. Although Microsoft has not made any formal announcement, prices of various versions of VS 2010 are widely being quoted in the Internet on various blogs. 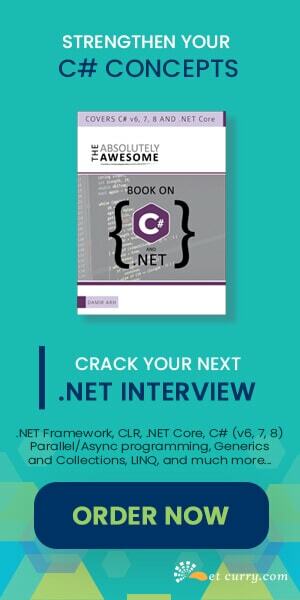 I would suggest that you go throught the site of MSDN (http://www.microsoft.com/india/visualstudio/products/msdn/default.mspx#roadmap) for some quite cool bundle offers. Excelent, but i have to learn more first. Your article's got me interested in VS TS10. Any plan to explain MTM in detail? The Test Professional SKU does not contain any of the test functionality from VSTT2008. Web and Load Test are available in the Ultimate SKU. Unit Testing is available in the Vs Pro SKU and higher. Thanks Euan for that correction. I will make the necessary change in the article and request the publisher to re-publish it with that if possible. really good informative informative to me, as i am tried for long time for such type of script, hopefully may be beneficial to others also. Wow Exciting Article brief details of Visual Studio Test Professional 2010 very knowledgeable and informative i like it very much and hope to see more new excited articles like this for latest technology. vsts 2010 looks like it's going to be a great program, I can't wait to test it out! Visual Studio Test Professional 2010 looks great! Interesting article about a difficult topic. This visual studio product looks like something to find out more about. thanks. Hi, thanks for the info, its been very informative. Ive subscribed to the feed and will look out for some more great info. Thank for putting together such a great site. Visual studio is the main programming software I use in my consulting business. It more than gets the job done. Keep up the great work here people! The software looks amazing. Any idea if a 2011 or 2012 version will be out soon? Developer Preview of Visual Studio 11 and TFS 11 are already made available for download by Microsoft. 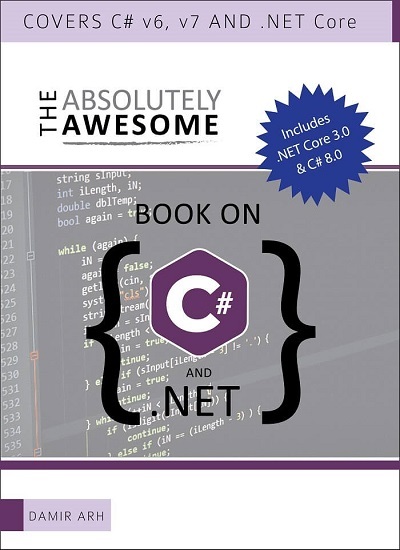 They are available from http://msdn.microsoft.com/en-us/vstudio/hh127353. You may also download readymade virtual machine with preinstalled TFS 11 and VS 11 created by Brian Keller (MSFT) from http://blogs.msdn.com/b/briankel/archive/2011/09/16/visual-studio-11-application-lifecycle-management-virtual-machine-and-hands-on-labs-demo-scripts.aspx. TFS 11 and Visual Studio 11 are just code names and actual brand names when the products are released may probably be totally different.